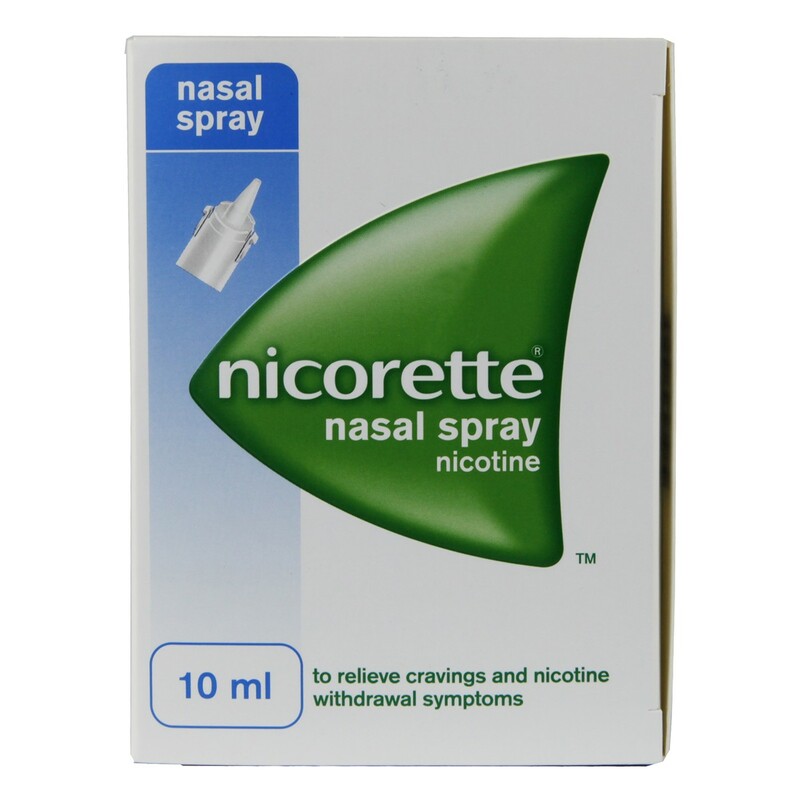 The Nicorette Nasal Spray rapidly relieves the symptoms of nicotine withdrawal when you stop smoking. There is no faster way to relieve strong nicotine cravings. If you smoke 20 or more cigarettes a day and get strong cravings, Nicorette Nasal Spray could be for you. Tip head back slightly. Insert spray tip into one nostril.Point towards back of nose.Press firmly and quickly.Spray into other nostril if required.Nicorette Nasal Spray NRT should generally be used for a total of three months.After eight weeks you should start to reduce the number of times you use the spray until you can do without it.Maximum two doses per hour.Remember: one dose = one spray in each nostril. Thank you for your interest in Nicorette Nasal Spray. Enter your email and we'll contact you as soon as it's available again.